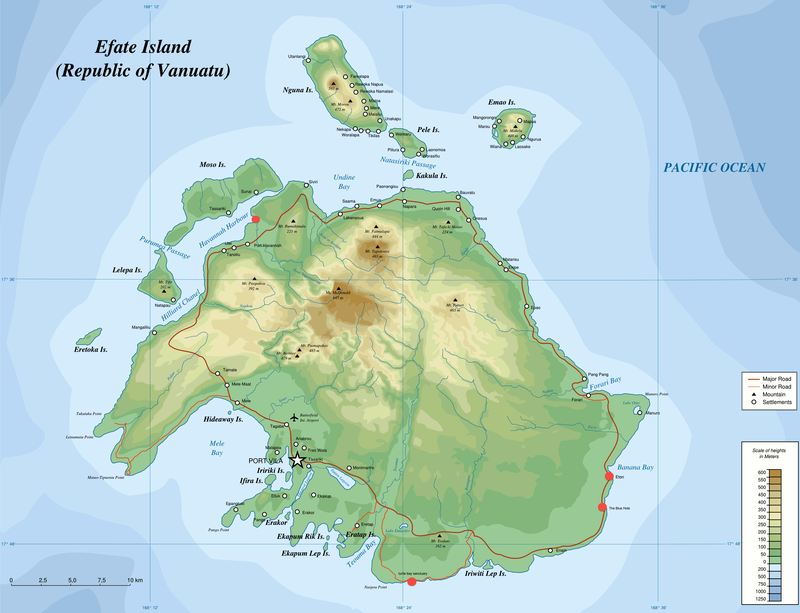 ← Mele Beach – Yu save toktok bislama? To get a glimpse of the rest of the island we found a driver, Ruben, who would take us around Efate with his mini bus for a full day. First stop was turtle bay sanctuary, which was kind of a surprise, because we thought it’s just a snorkelling spot where you might see turtles if you’re lucky and it turned out to be a turtle breeding station. The young ones are being hatched and raised until they are a couple months old before they are released back into the sea. However, there are four permanent turtle residents living in a rock pool with a group of sharks. They were raised as village pets on a diet of papaya some 50 years ago and wouldn’t be able to survive in the wild any longer. Eton Beach is where the locals and expat community of Port Vila comes on a weekend for some fun time in the water … but beware of the mean current at the opening to the open water! And although this Nasinu Hot Spring looked a bit like an outdoor toilet seat it’s part of a rather poorly maintained thermal area. Even though the local tribe is occasionally using the rock pools for cooking the crab in the picture just happened to fall into the boiling water on its nocturnal forays. Apart from blue water, bright sunshine, coconut plantations and small villages in jungle there was not much to be seen on the northern side of Efate and it was already sunset time when we stopped at Port Havanna for dinner. It was a long day and we were really glad when Ruben finally dropped us off at the Vanuatu Beachfront Apartments for a nightcap at the beach.